Product prices and availability are accurate as of 2019-04-21 23:44:23 UTC and are subject to change. Any price and availability information displayed on http://www.amazon.com/ at the time of purchase will apply to the purchase of this product. 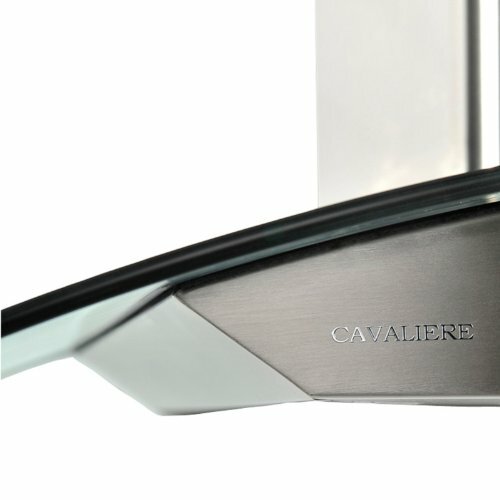 Clean lines, clear glass, and stainless steel make the Cavaliere 30W in. Tempered Glass Canopy Wall Mounted Range Hood a sleek way to keep your kitchen air clean. 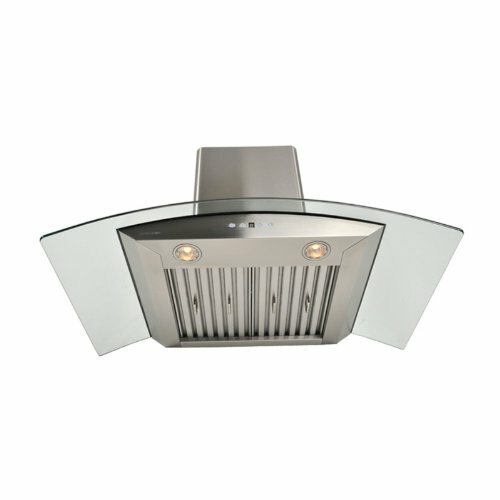 This wall-mounted range hood is made with premium brushed stainless steel topped by curved, tempered glass. A smart match to your modern kitchen, this hood is as stylish as it is efficient. It offers an ultra-quiet, single chamber motor with six speed levels to make quick work of clearing the air. 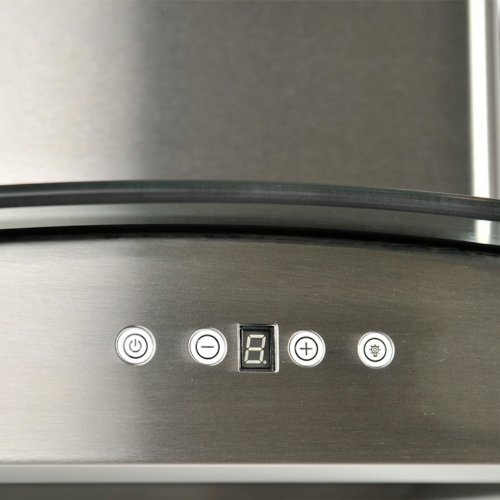 Dishwasher-safe, top-quality stainless steel baffle filters, two 35-watt halogen lights, and a touch sensitive keypad with blue lighting make it a snap to use. Additional Information: 6 speeds with timer function Touch sensitive LCD keypad with blue lighting Dishwasher-safe stainless steel baffle filters Airflow: 860 CFM 2 dimmable, 35-watt halogen lights Cavaliere offers a complete stainless steel range hood collection. They blend superior components with the latest technologies to create range hoods that cater to your needs. Cavaliere has a special understanding of the kitchen environment, ergonomics, aesthetics, and integration within your home or workplace. They specialize in wall-mounted, island, or under cabinet range hoods that make a statement in your kitchen. 19-gauge stainless steel and tempered glass. Low-noise single-chamber motor (level: 35 dB to 67 dB). 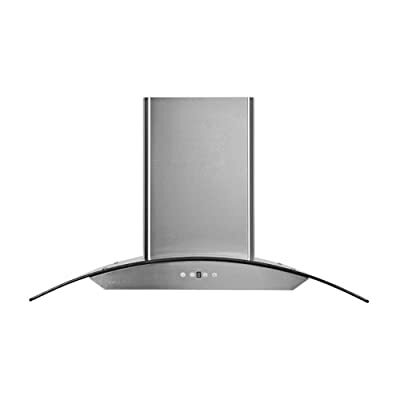 Telescopic chimney fits up to 9-ft. ceilings. Dishwasher-safe stainless steel baffle filters. 6-inch round duct vent. Dimensions: 30W x 19.69D x 40H inches. 1-year parts warranty.